If you are getting ready to list your home for sale, you will want to consider having a seller inspection performed on your property. The experts at JMark Inspections have seen many benefits that come from having a seller inspection completed before putting a home on the market. Our team of highly trained and certified inspectors will ensure you know the condition of your home before starting the selling process. When you have a seller inspection performed on your home, the seller is responsible for funding the inspection. More and more sellers are finding the advantages that come with having a seller inspection performed prior to listing their home. Here are some of the clear reasons you should consider choosing JMark Inspections for your seller inspection. The day your home is inspected by a buyer is always a source of anxiety. When you choose to have a seller inspection, you don’t have to worry about surprises that may pop up in the buyer’s inspection. Any potential problems that could have an effect on the value of your home will be uncovered. If there are any problems that present themselves during the seller inspection, the seller has a bit of time to perform the necessary repairs to give the home a clean bill of health. When you can give a potential buyer proof that repairs were made in conjunction with a seller inspection, it will give them the peace of mind they need and possibly boost their offer to you. Anytime you get your house in the best shape possible it is a good thing. This will help move the purchase process along and could give you a faster closing date. Being proactive will never hurt you in the end. 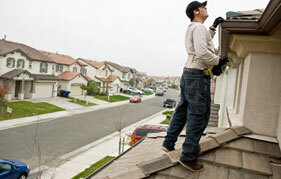 Not all sellers fix every problem that arises in a home inspection. There are some issues that could be potential deal breakers for buyers. Because these fixes are often expensive, many buyers will completely back out of the purchase agreement. Following are some of the key deal breakers you should be aware of and prepared to fix. 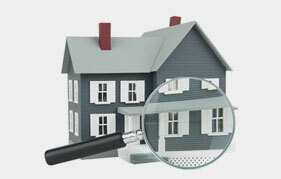 At JMark Inspections, you can trust that you will receive the highest quality in home inspections. 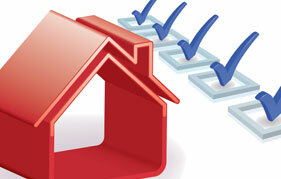 We provide detailed reports that will give you the information you need about your home. We strongly encourage that all homeowners are present during a home inspection so that our knowledgeable inspector can walk through the house bit by bit, explaining each area of the inspection in detail to the homeowner. When it comes to preparing your home to be listed on the market, you don’t want any surprised to derail the sale of your home. You can count on JMark Inspections to help prepare you for the selling process with our seller inspections. Call us today!